It’s the end of the day; your head’s saying ‘go to the gym’, but all you want to do is curl up on the couch and watch TV. We may have found the solution – ‘Deskercise’! Admittedly, it wasn’t conjured up for the greater good of British workers – we wanted to inject a bit of fun into the lives of pet journalists… while at the same time getting them to connect with the Sweet’N Low brand. The lighthearted, direct mail pack offered an ‘alternative’ exercise programme that could be practised at their desks, helping girls burn calories in the easiest (and daftest) ways possible – using everything from elastic bands and paperclips to achieve the desired results! 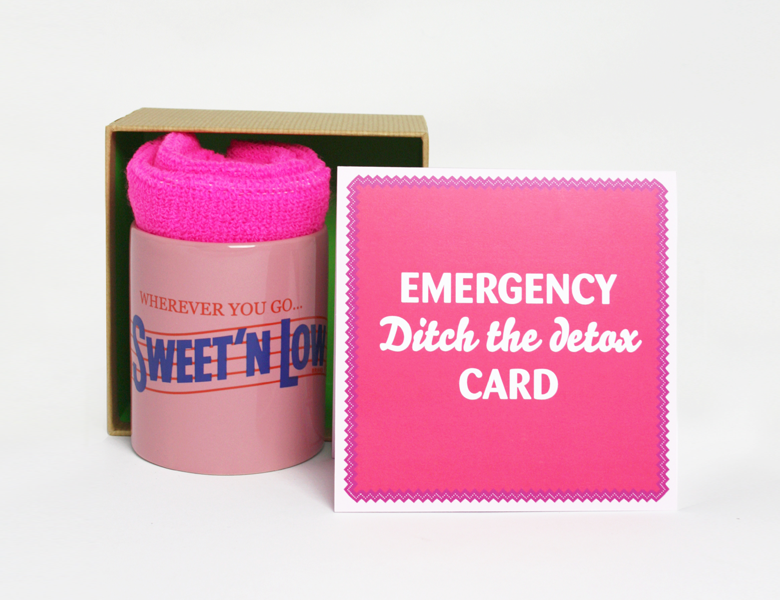 The aircraft emergency card design, sent out with a bright pink mug, got journalists across the land doing thigh crunches with staplers, while enjoying a brew. The dawn of ‘Deskercise’ has begun ladies and gentleman… get that office stationery on order.